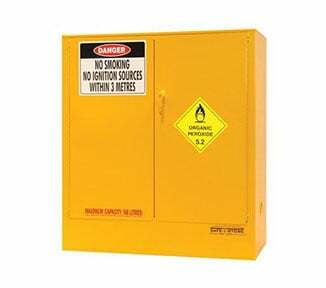 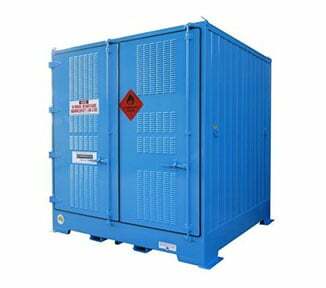 The SC060A is an upright chemical safety cabinet ready to house up to 60 litres of Class 5.1 Oxidising Agents. 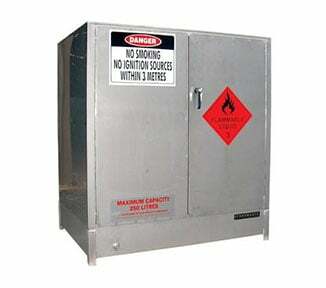 Best for vertical spaces, this chemical store secures your oxidisers away from flammables and other hazardous substances. 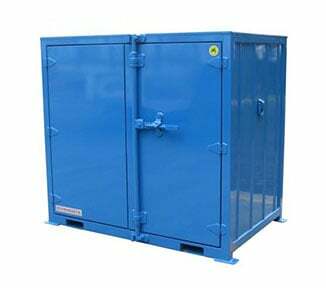 Features of the SC060A include: three layers of heavy duty shelving (perforated for natural air movement); vent openings and flash arrestors that fit a mechanical ventilation system; spill containment sump (23 litre capacity). 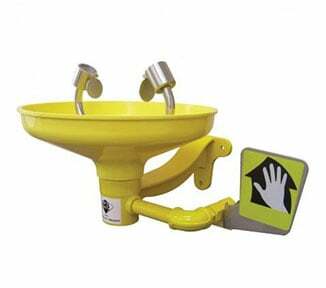 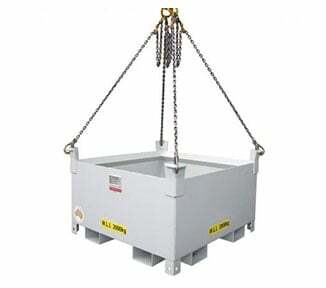 The unit is finished in a high-tech polyurethane coating which resists corrosion. 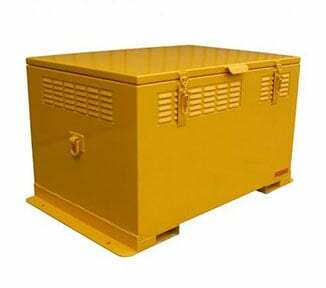 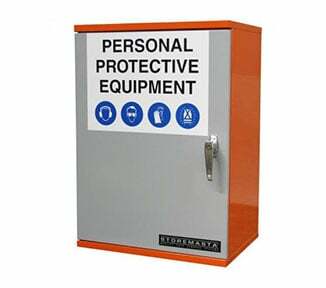 The SC060A is hard-wearing safety cabinet and part of the SAFE-T-STORE series — a range of indoor chemical stores for safely holding Dangerous Goods. 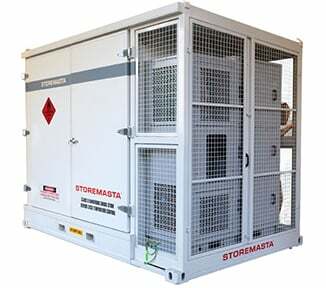 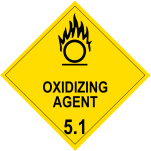 100% Australian made by the expert production team at STOREMASTA, order your oxidising agent cabinet today.